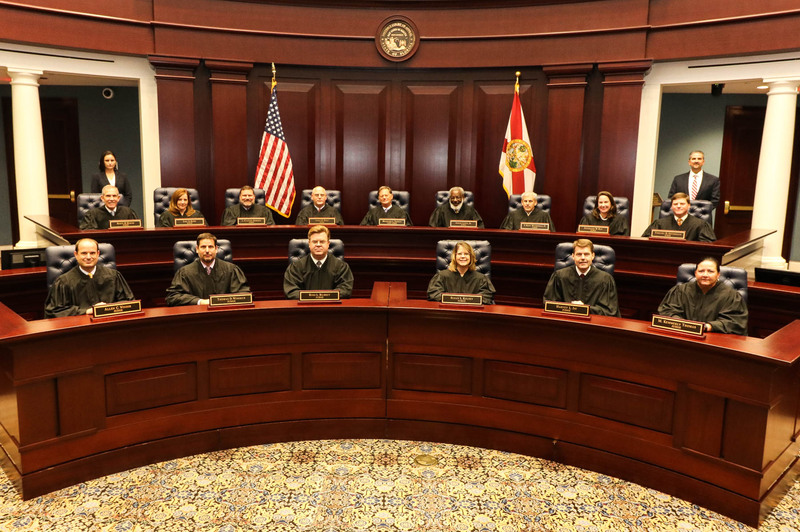 Judge, District Court of Appeal, First District, 1978-present; Chief Judge of First District Court of Appeal, 1985-1987; private practice, Booth & Booth and Hall & Booth, Tallahassee, 1973-78; Legal Aide, Supreme Court of Florida, Tallahassee, 1962-73; Law Clerk, Lazonby, Dell, Willcox & Graham, Gainesville, 1961-62. Phi Beta Kappa; B.S. with High Honors, University of Florida; Phi Kappa Phi; Alpha Lambda Delta; Sigma Delta Pi (Spanish Honorary); Phi Sigma (Biological Honorary); Gamma Sigma Delta (Agricultural Honorary); 1954 Kroger Scholarship for Outstanding Agricultural Student; 1956 Phi Sigma Award for Individual Research; Phi Delta Delta (Womens' Legal Honorary - President 1957); J.D. with High Honors, University of Florida; Order of the Coif (Legal Honorary); Brick Award for Legal Research and Writing. Committee on Standards of Conduct Governing Judges, Member, 1978-1993; Chairperson, 1984-85; Vice Chairperson, 1979-83; Secretary, Florida Conference of District Court of Appeal Judges, 1980. Member: Committee to Draft Workers' Compensation Rules of Procedure, 1978; The Florida Bar, 1961-present; Florida Bar Appellate Court Rules Committee, 1972; Tallahassee Bar Association, 1961-present; Florida Courts' Restructure Commission, 1986-87. Member of St. John's Episcopal Church; Alumni Activities of University of Florida and Chi Omega Sorority. Case Comment - "Taxation: Deductibility of Penalty Payments," University of Florida Law Review, 1958 Fall Issue, Co-Author; Note - "Taxation: Sale or Liquidation of a Deceased Partner's Interest," University of Florida Law Review, 1961 Summer Issue; Article - "The Rule in Shelley's Case and Estates in Fee Tail in Florida," University of Florida Law Review, 1961 Fall Issue; Article - "Jurisdiction of Florida Appellate Courts," Co-authored with Justice Thornal in 1966 C.L.E. Volume, Civil Practice After Trial; Article - "The Florida En Banc Rule," University of Florida Law Review, 1985 Winter Issue, Co-author; Government Lawyer Ethics, 1992 Florida Bar C.L.E., Author - "The 'Other' Code of Ethics--The Code of Judicial Conduct."